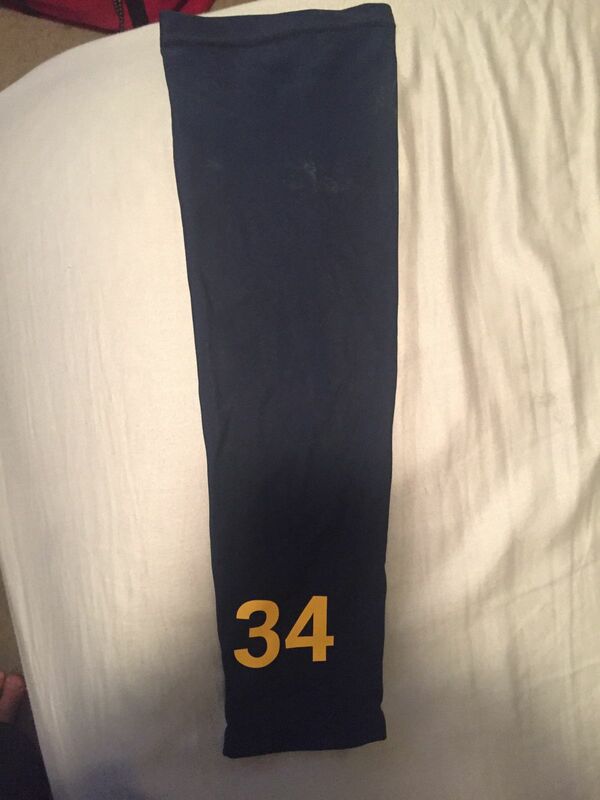 The Custom Number Arm Sleeve lets you completely design your own arm sleeve. You can choose your number or initials, the fabric color, and size to create a truly original arm sleeve. Custom Sports Sleeves' arm sleeves provide the arm with compression to keep blood flowing and muscles loose. This can help to prevent arm related injuries. Our sports performance fabric is very lightweight and comfortable. It is designed to stretch and contour to your specific arm shape. Improve your game and stand out on the court or field today. If you need help purchasing this arm sleeve or have any questions, feel free to contact CSS and a support team member will be happy to assist you. Please allow a few extra days of processing time before shipment for this customized arm sleeve. Most sleeves cut, sewn, and assembled in the USA. Sold as a single sleeve. My son really loved his custom sleeve. It looks great! The only thing is we did the measurements and it was too big...it kept coming off! So we'll save it for him I guess to grow into, hopefully he'll keep his same number though! This is one of the best purchases I’ve made for the money spent. I ride a motorcycle in MD and between the temperature swings and the sun, the sleeves are the perfect solution to avoid sunburn and cooling temps. Fits perfect too. Thanks.